How can I change the email address where I receive all my SimplifyEm.communications? How do I change my login email ID? 1. 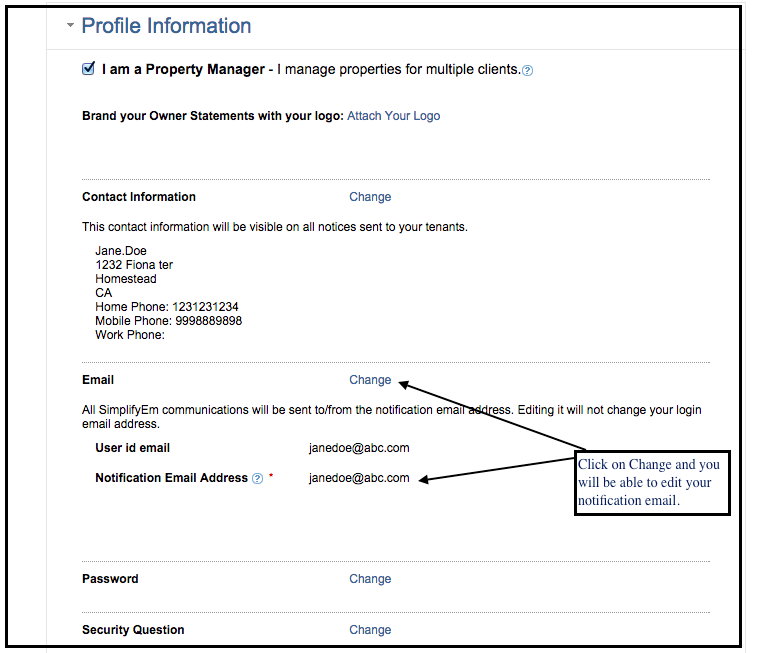 How can I edit my contact information? 1. Click on the Account Settings link at the top right corner of the page. 2. Click on Profile Information section title. This will expand the section to show you your information. 3. 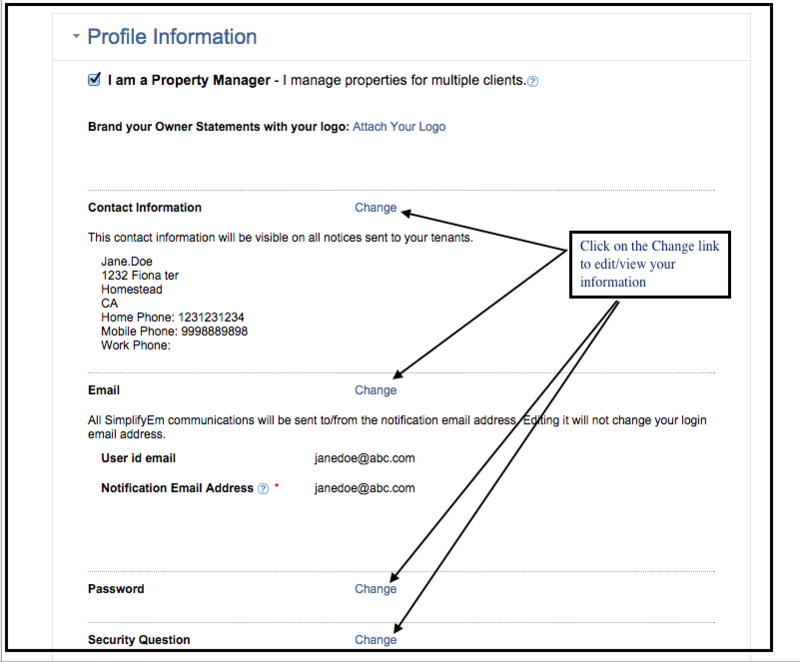 Click on the "Change" link to edit your contact information. 2. How can I change the email address where I receive all my SimplifyEm.communications? 2. Click on the Profile Information section title. This will expand the section to show you your information. 3. Click on the "Change" link to enter a different notification email address. 3. Where do I change my password? 3. Click on the "Change" link to reset your password. 5. 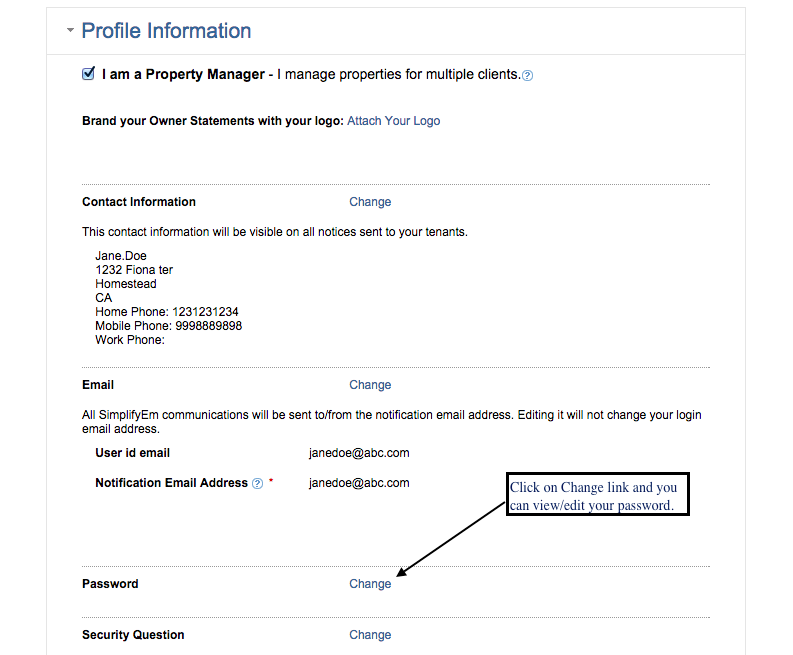 How do I change my login email ID? To change your login email ID, please email support: support@SimplifyEm.com.